- Acquired a personal loan with which he purchased the available 4.7 acres of the historical southeast corner of Crying Hill. - To halt vandalism to the property, Atkinson also paid for the installation of a split-cedar log fence along the whole of the east side of the property, intermittent split-cedar log fencing along the property's north and west sides, and installed a steel mesh fence along the south side of the property. - Has since maintained, insured and paid taxes on this land, pending its final resolution as a donation to a land trust. "The birds in the sky and winds in the grass told us the earth was our gift from the Great Spirit, and it belongs to all." "It has another in Crying Hill, which now has been preserved for all time, courtesy of Bismarck's Patrick Atkinson. "You know Crying Hill. It's the prominence on the east side of Mandan that sports the town's name in concrete slabs on one side and in live trees on the other. Its real claim to fame, though, is its association with a Mandan Indian village now overlaid by the modern city. (Some of it was excavated in connection with the rebuilding of First Street a few years ago.) 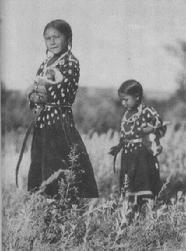 This was in the Mandan tribe's "golden age," when the Mandans occupied a half-dozen towns near the confluence of the Missouri and Heart rivers.The tradition of the Mandans is that women resorted to the hill to watch for their men who had gone off on war raids. Burials also took place up there. There probably were a lot of those when an early smallpox epidemic ravaged the tribe about 1782. That was the end of the Heart River period, with what was left of the Mandans moving north to join their Hidatsa friends at Knife River. Leaving Crying Hill, Double Ditch, On-A-Slant, Chief Looking's and other wonderful old sites behind. "Lewis and Clark saw all of these in their abandoned state. "Fate has been kind to Crying Hill, preserving most of it, at least partly because of its steepness. Another deterrent to construction has been the probability of running into artifacts and human remains. It's far from pristine, however. The north and east sides have been gnawed at by road construction, and I-94 roars at its base in place of the old Missouri River. "Still, it was for sale again, and who knows? That's the thought that bothered Atkinson, whose Indian son also convinced him that the old spirits are still around. So, Atkinson bought it to protect it into perpetuity. "Atkinson has done Mandan and the larger community -- including descendents of those old Mandans -- a good turn, preserving one of the magic places that add depth to our everyday lives. "We residents should all do what we urge our tourist visitors to do -- climb a hill (like Crying Hill) or take a walk in the woods (like the Missouri River Natural Area) to catch a glimpse of the yesterworld we live in the middle of. It's magic." Pat Atkinson went in for a regular physical therapy treatment last Monday and came out a historical philanthropist. The therapist, named Denise Wentz, did some musing about Mandan¹s Crying Hill and said it was up for sale. She was concerned, she said, that it was going to be sold and developed. This triggered a memory for Atkinson about a toboggan and the hill. “Tell me the lore and legend, the history behind Crying Hill,” he said. After listening to her story, Atkinson said to himself, they can't sell this, what are they going to do with it? So, he drove to Mandan to Crying Hill and parked the car. “As I walked the hill, I put into perspective the history and what I had been told. It became apparent to me that these were very sacred grounds. This is a place where generations of kids grew up, where churches came to pray a place of mourning, fasting, communing with the dead,” he said. Atkinson could see that people had used the hill. There was evidence of sage being planted and piles of prayer stones; some were five high. Hungry for more information, Atkinson talked to Juanita Maxon, a Mandan/Hidatsa who works at Five Nations Art. Maxon shared stories about Crying Hill from her mother and grandmother. The next day, Atkinson brought his son, Ernesto, of Mayan Indian Cakchiquel descent, to the hill. Ernesto is studying to be an architect. Ernesto said, “Papa, just listen.” So they did. They lay down on the hill in the sunny afternoon, and they heard the birds, the wind, the rustle of grass. These are sacred grounds, they both agreed. Atkinson did purchase the land within two days of discovery.